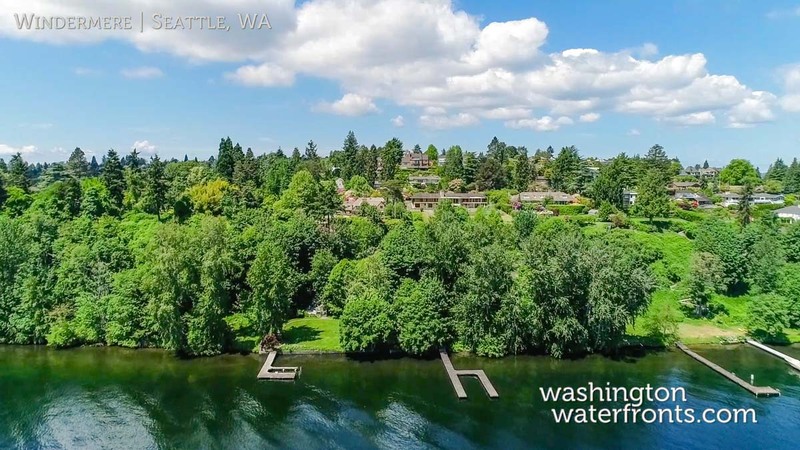 Named after Windermere in England’s Lake District, the Windermere neighborhood of Seattle lies along the shores of Lake Washington, with Magnuson Park to its north and the Laurelhurst community to the south. Its perfectly manicured streets and magnificent homes, secluded feel and stunning views make it an especially desirable place to live. With Windermere waterfront real estate, you’ll have exclusive access to the Windermere Park & Beach Club which includes a beach, boat dock, kayak and canoe storage, tennis courts, playground and a large playfield. A variety of community events are also hosted here, with a full summer schedule including family fun nights, movie nights, and Rock the Dock. If that’s not enough, you’ll also be steps away from the second largest park in the city, Magnuson Park. This 350-acre park is popular for swimming, boating and kite flying. With Windermere waterfront real estate, if you enjoy taking scenic strolls, biking or jogging, you can easily access the Burke-Gilman trail, which runs right through the neighborhood. Residents are also just minutes from the University of Washington, the open-air shopping center University Village and the business district along Sandpoint Way which offers multiple dining and shopping options. Plus, downtown Seattle and many of the city’s most popular attractions are a short drive away, including the iconic Space Needle and its rotating restaurant, Pike Place Market, and sports stadiums like CenturyLink Field, home to the NFL Seattle Seahawks and MLS Seattle Sounders. Major league baseball’s Seattle Mariners play right next door at Safeco Field. With Windermere waterfront real estate, you’ll be living the good life in a neighborhood filled with impressive multi-million-dollar lakeside homes and mansions. The pretty wide streets, large lots and breathtaking views make it a place few ever want to leave. If you’re looking to enjoy a luxurious lifestyle that provides the best of the Pacific Northwest along with urban amenities, Windermere should be on your must-consider list. Take advantage of our industry-leading tools to make your property search as easy as possible and be sure to register for a FREE account so that you can receive email alerts whenever new Windermere real estate for sale hits the market. If you’re seeking to sell your Windermere property, contact our Waterfront Specialists directly for a comprehensive listing analysis and to learn more about the cutting-edge marketing strategies we’ll use to sell your home quickly for top dollar!